Badger Daylighting™ – Safety is what we do. Safety is what we deliver. 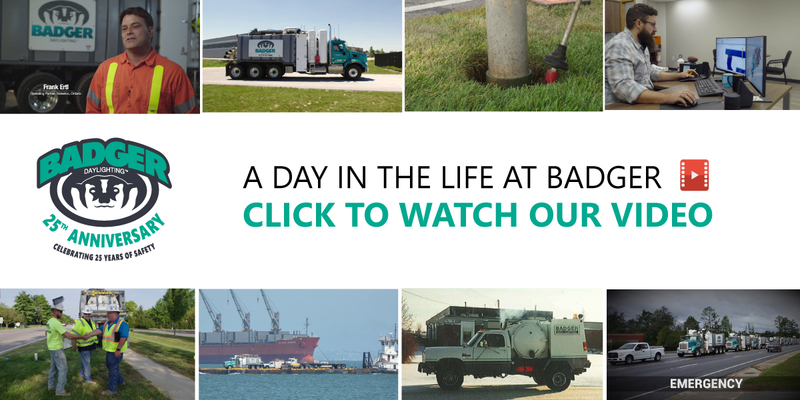 Badger Daylighting ™ is the industry leader in non­-destructive hydro excavation services. Since 1992, Badger has been innovating cutting-edge technology providing services to a diverse customer base including oil and gas, energy, industrial, construction, transportation and other markets, as well as numerous government agencies within Canada and the United States. For the past 25 years, Badger has been committed to creatively solving our client s’ infrastructure needs and challenges by delivering a safe and reliable service. Badger Daylighting™ – Learn More: View & Download our Corporate Brochure.